1 Divi theme is one simple way to make your website mobile friendly. Learn how to use Divi themes to increase traffic to your website and keep possible customers in few easy steps. 3 There are a few things you need to do first. Divi theme is one simple way to make your website mobile friendly. Learn how to use Divi themes to increase traffic to your website and keep possible customers in few easy steps. Generally, more people use their mobile phones these days more than they use their PC to browse the web. Therefore, it’s very important that your website is mobile friendly. In fact, it’s easier to check up information with your smartphone and tablets than turning up your PC. In other words, websites have to take advantage and make their website more mobile friendly than ever before. One best way to make your website mobile friendly using Divi theme (highly recommended). 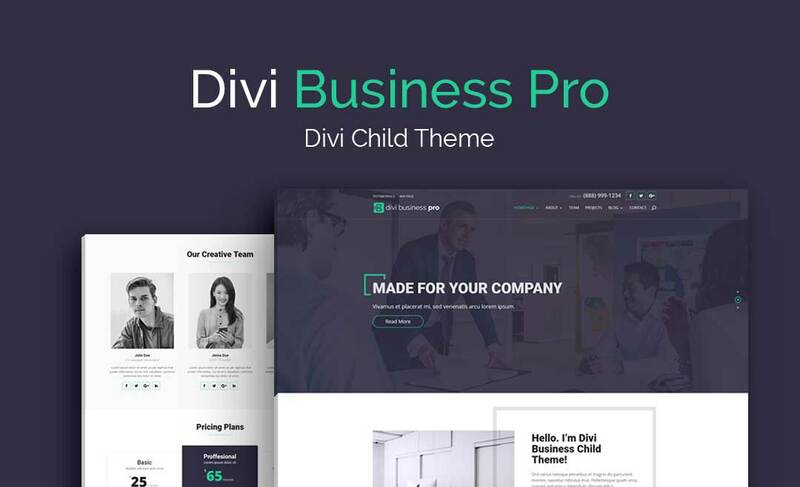 Divi theme is a complete classy theme created by Elegant theme which makes it very easy to customize your website however you want it. The niche of your website does not matter, Divi themes makes it easy for your website to adapt to any mobile phone. Divi themes usually come with WordPress, and it’s easier for websites built with it. Although if your website is not built with WordPress, there are still ways you can use Divi theme to customize your web pages. For WordPress users, this post is very useful, as you will learn to make your website mobile friendly in seconds. Apart from how fast you can make your web pages mobile friendly, you get to make your website better looking with advance features. Website that load fast and is mobile friendly is the bet for online marketers, affiliate marketers inclusive. There are a few things you need to do first. Upload the Divi Theme to your WordPress, then install. Then build your website using Divi builder. Remember, this process is for those using WordPress for their websites. You will learn how to get the Elegant theme license, upload, install and activate the Divi theme. Above all, you will learn how to build your website with Divi builder here. 3. For the first page, you will see icon for mobile, tablet and desktop. Disable tablet and desktop. 4. For the next page, disable mobile, enable tablet and desktop. These simple process helps you to shrink text to fit mobile screens. Most importantly, it helps to sustain engagements on your website so people don’t get bored. This video will show you how to make your website mobile friendly using Divi theme. In case you want to learn more about how to optimize your web content, Wealthy Affiliate has every information you need. There are webinars, plugins and products that will not only give your website the much more extra boost but you will also make money from. Wealthy affiliate is loaded with professionals in the affiliate marketing field. So if you want to be a successful affiliate marketer and learn everything you need to know about it then wealthy affiliate is the site to invest in. When you have checked wealthy affiliate out, sumo is the perfect all-in-one program that helps every affiliate marketer in the business. A blend of both will make you standout, and you can use your mobile friendly website to generate more income. Previous Previous post: What Is Automated Income Sites About? Next Next post: How Much Can You Make with Google Adsense per 1000 Visitors?